Getting rid of their satellite or cable service has been a part of most of US and the rest of the world’s course of action soon after several subscription-based streaming services made their debut across a multitude of platforms, making themselves available over the majority of Smart TVs, desktop OSes, and handheld devices. As current leaders of entertainment services, streaming enterprises keep gaining more and more subscribers thanks to their relatively low packages pricing, therefore laying out large quantities of content at your disposition through affordable rates. As of 2018, there are now copious amounts of streaming services to choose from, but the front-runners are few, such as Netflix, Hulu, Amazon Prime, Crackle, and some others you’ve probably already heard too. However, the aforementioned Netflix and Hulu both take the crown for being the two actual biggest streamers, mainly for their outstanding work in original content within the last few years. 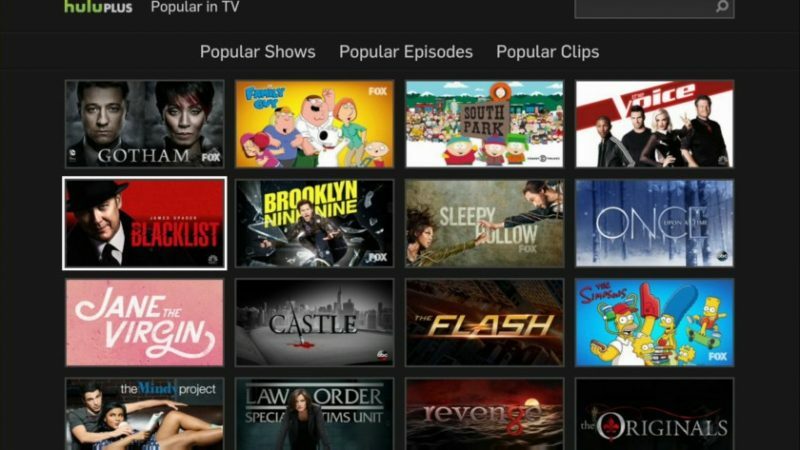 You’d think Netflix has already topped Hulu with its 130 million subscribers worldwide (in contrast to Hulu’s more modest 20 million subscribers), but Hulu’s services offer more than meets the eye, such as its unique instant streaming of television series. Furthermore, let us remember Netflix’s birth goes way back to 1997, where it began as a DVD-by-mail service with no late fees, and even though its business expansion to streaming media only began in 2007, the name was already breaking through the market by way of a DVD rental business, whereas Hulu was first launched for public access only after 2008. Needless to say, each streaming service possess outstanding features worth mentioning, so it comes as no surprise how hard it can be to choose which one is worth your cash. For that matter, we felt the need to lay out a comparison of the most important aspects of both streamers, so you’ll choose wisely in regards to your streaming needs. 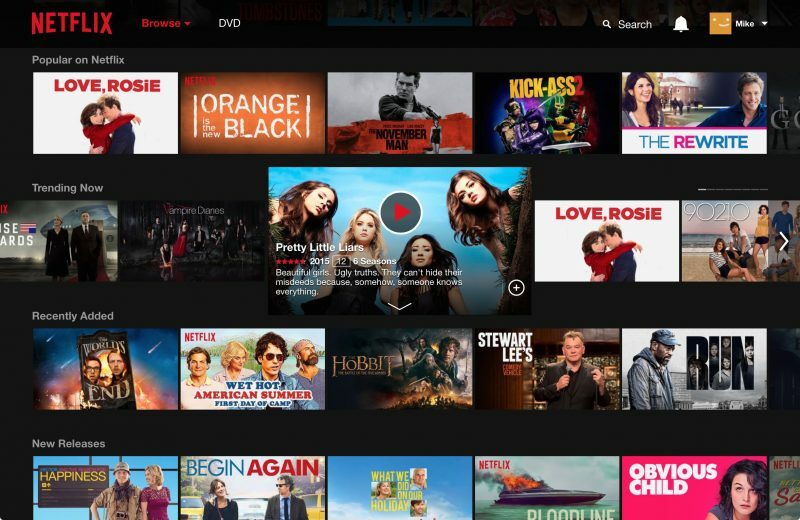 As we’ve previously stated, the dawn of Netflix began through movie-rental business, but long gone are the days when the streaming company’s content library was all about movies, as it has now become much more TV-oriented. Even so, the number of movies offered as of this year’s February was 4.010, where 207 of said titles are original-branded films. Though most of these films don’t have the best reputation (both original and non-original content), the company has had certain hits, such as Angelina Jolie’s critically acclaimed First They Killed My Father or Dee Rees’s Mudbound. Hulu’s repertoire, albeit significantly smaller than Netflix’s (over 2.500 titles), already has a better selection than Netflix in some respects, mainly for the number of producers and distributors partnered with the company, which is surprisingly bigger than of Netflix’s. Though there’s tons of options to choose from both streamers, Hulu does win in relation to quality. 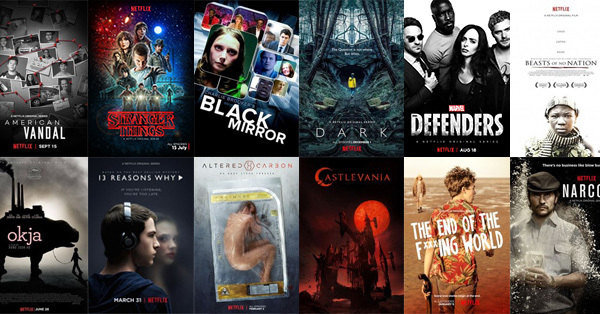 Nowadays, what sets Netflix apart is its wide range of original TV series, whose volume include both in-house productions and international co-productions. So much so, that CFO David Wells stated back in February how the company was set on packing their library with up to 700 original series by the end of this year. As you may know, more than one of its TV titles has managed to win most of everyone’s hearts, such as the Duffer brother’s Stranger Things, or Leslie Kohan’s Orange is the New Black. It’s no wonder they pretty much started the binge-watching trend, adding to this fact that most of its content (both original or not) comes in the form of entire seasons dropped at once. From its beginning, Hulu’s original goal was for its customers to catch up on their favorite television shows, and it continues to be so. 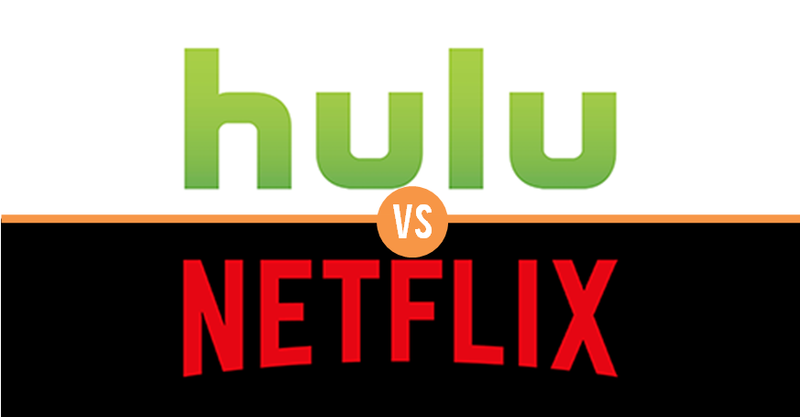 Hence, Hulu’s plus point relies in its next-day airing of network TV shows from ABC, NBC, CBS, Fox programs and many others, without having to wait for entire seasons to end to come out in the streaming service, as it happens on Netflix. 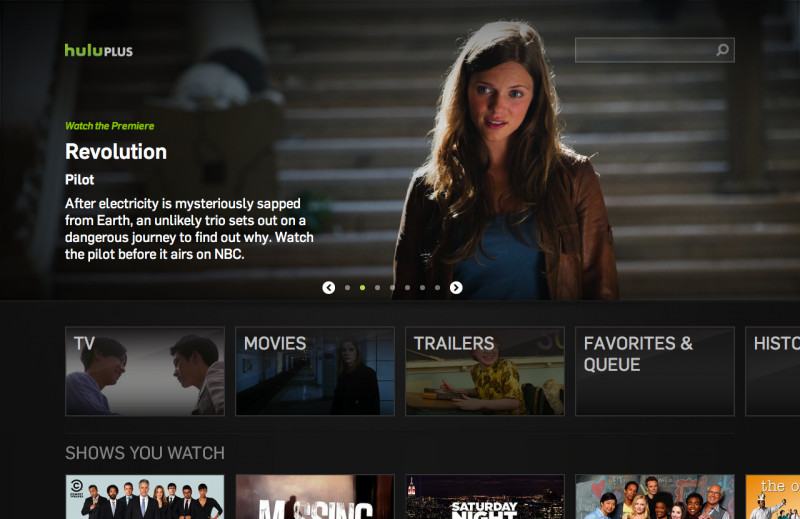 However, many TV shows carried by Hulu are missing lots of its back seasons, which may disappoint many. 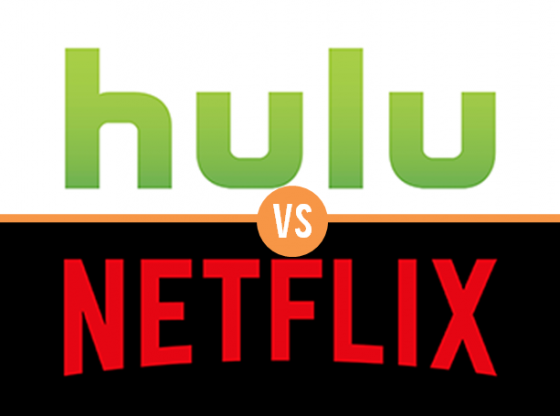 Although Netflix may win in terms of quantity and quality in regards to its TV series selection, Hulu will soon begin to be a tough match even on its original content department. Just take a look at how well The Handmaid’s Tale fared in last year’s Golden Globes. 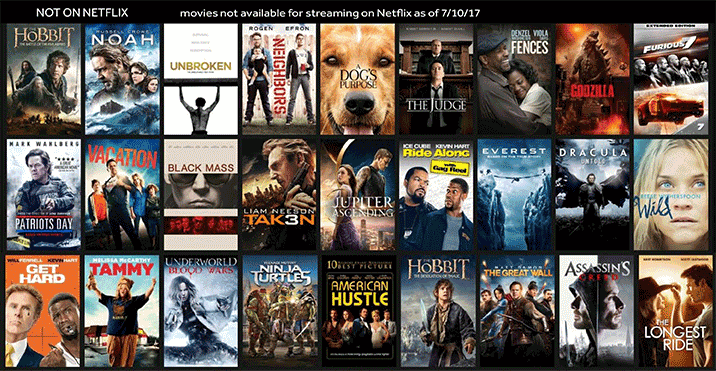 Even though Netflix does make an effort to style its interface as uniform throughout every of its platforms as possible, it can become quite overwhelming due to the large selection of content it displays at once, making most of its users spend an unnecessary amount of time checking its endless library. For a more organized arrangement you can make use of its top bar’s sections, like Movies and Series, in which you’ll find all the genres and sub-genres available. Even though searching any titles becomes much more organized this way, there’s still lots of scrolling to do to find what you’re looking. 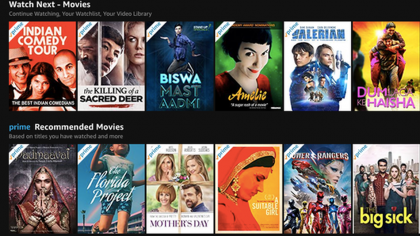 On the other hand, thanks to Hulu’s much less library content, they manage to show a much more clean and functional interface, dividing its movies and TV series in its main page through drop-down categories, instead of directly picturing their entire content repertoire at once. This allows you to be tidier in your content search, without the distractions of hundreds of other titles you’re actually not interested in. It can be said for both how in-tune they eventually get with your tastes, as they both immediately show movies and programs you might like, just after using the streaming services once. Both services are offered through affordable rates, even if Netflix has recently raised its prices. The aforementioned begins by bidding its services at $7.99 per month, letting you watch unrestricted amount of content on one screen in SD quality. Its price raises by the number of extra screens for streaming you may want and their video quality, so its middle-tier plan costs $10.99 per month for two screens at a time in HD resolution, and its highest tier plan (for families and friends mostly) comes at $13.99 for a four-screen streaming at a time in HD streaming, with the possibility to unlock Ultra HD where available. Hulu’s way of separating its different services from each other derives by the amount of advertisements you may not want to see while streaming any video. Its cheapest plan costs $7.99 per month, which includes limited advertisements. For a relatively ad-free service there’s the mid-tier plan at $11.99 per month, for there’s no service package where you’ll completely avoid advertisements, as the company claims that some shows cannot be streamed without ads, such as Grey’s Anatomy. The company also offers a Live TV plan for $39.99, which also includes the limited-ad plan, and at the cost of $43.99 you get to enjoy the Live TV service along with the ad-free library service. That being said, Netflix holds the lead in regards to servicing packages, as none of Netflix’s plans includes any type of advertisements, aside from its streaming video quality, which is visibly superior to Hulu’s. All in all, whichever service you choose will surely bring you a much better experience than any cable service still available, for far less than half the price.